Go inside the action of coach Kermit Davis’ morphing 1-3-1 Zone Defense that has led to multiple NCAA Tournament runs. 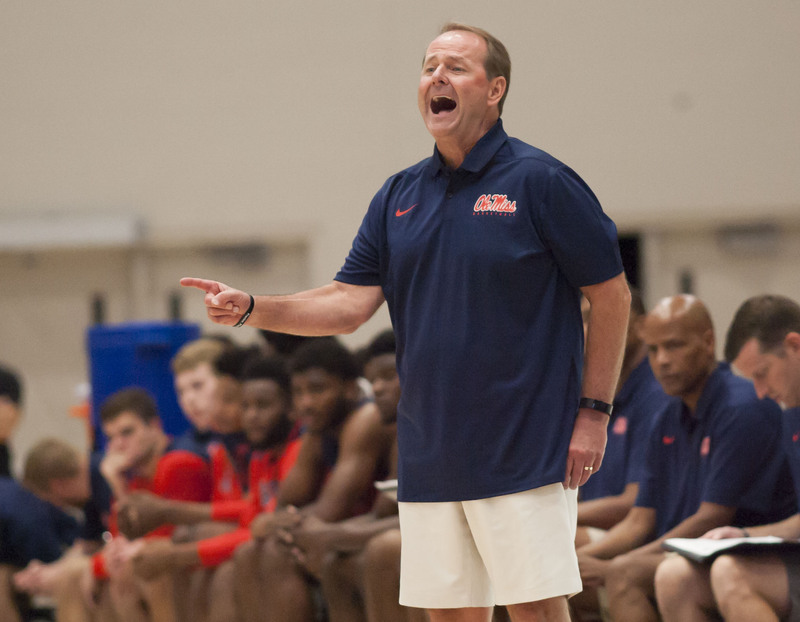 First-year Ole Miss Head Coach Kermit Davis is famous for using an aggressive style of 1-3-1 Zone Defense that helped his Middle Tennessee State squads to multiple NCAA Tournament appearances. This post outlines the principles of the defense, as well as the personnel needed to execute it effectively. Scroll down to view the FastDraw diagram showing the basic rotations along with frame descriptions, and download it to your library. This video, courtesy of Championship Productions, shows the action in more detail. 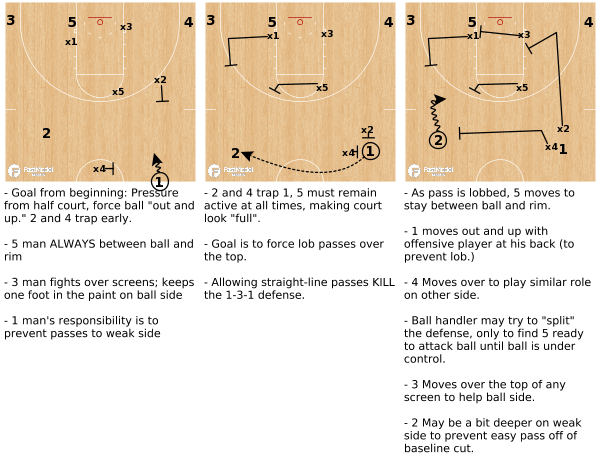 Early traps; force the offense up and out away from paint. Prevent easy straight line passes, force offense to make lob passes that allow time for recovery. Active, high hands (once again, trying to force lob passes). Force lob passes, avoid giving up straight line passes. Play with constant energy and make the offense panic.